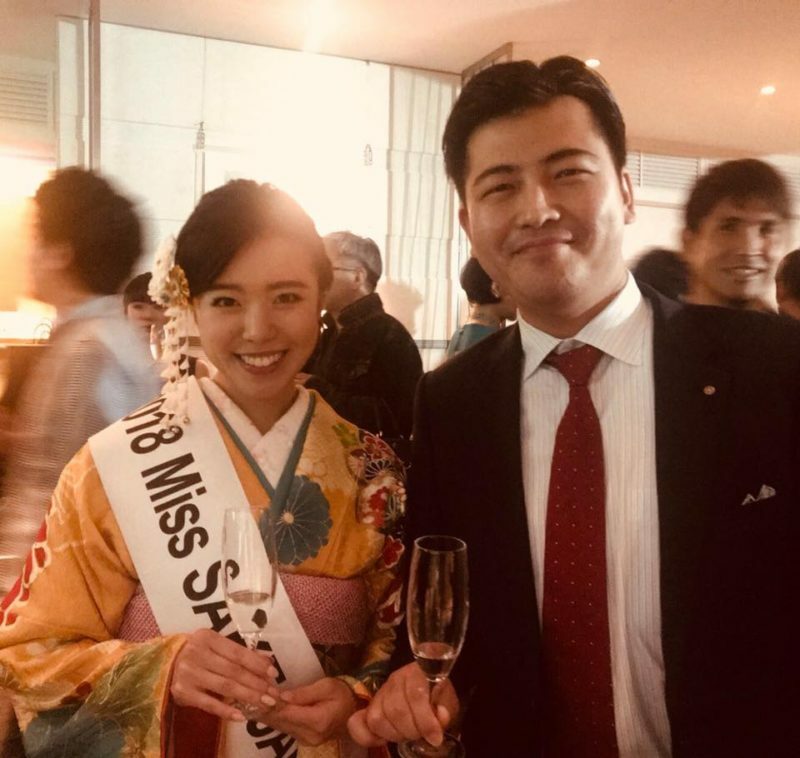 1 Asami Sudo, 2018 Miss SAKE, joined the 10th anniversary party of French restaurant “KEISUKE MATSUSHIMA” in Tokyo. Asami Sudo, 2018 Miss SAKE, joined the 10th anniversary party of French restaurant “KEISUKE MATSUSHIMA” in Tokyo. On June 10th, I joined the 10th anniversary party of French restaurant “KEISUKE MATSUSHIMA” in Tokyo. Mr. Keisuke Matsushima went to France at the age of 20, and opened his restaurant, “Kei’s Passion” at the age of 25 in 2002. After 2 years, he received a Michelin star to be the youngest star winner as foreign chef. And “KEISUKE MATSUSHIMA Tokyo” is a French restaurant providing a relaxing and elegant atmosphere of Côte d’Azur through the sophisticated dishes. 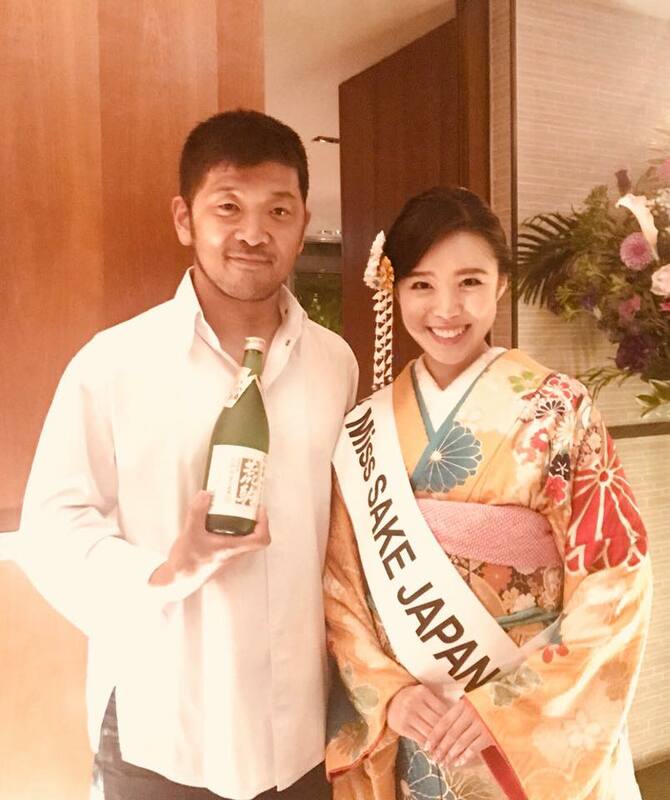 As a drink for a toast for the party, we had sparkling sake named “John” from the Tosa brewery, which won the IWC・SAKE Sparkling Trophy in 2016. 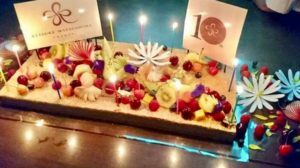 More than 100 guests from various business worlds came to the anniversary party, so from beginning to end, an energetic and pleasant atmosphere prevailed at the venue. 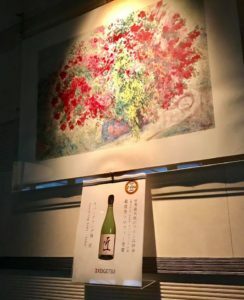 Mr. Keisuke Matsushima has contributed to the introduction of sake’s potential for paring with French food, and was selected as one of the 5th SAKE SAMURAIs. On the day, as I joined the party after leaving Taka-cho, Hyogo, where the Yamadanishiki was born, I passed my souvenir of special SAKE of Hyogo prefecture to the chef. During the party I could spend a precious time talking with lots of people with various specialities. 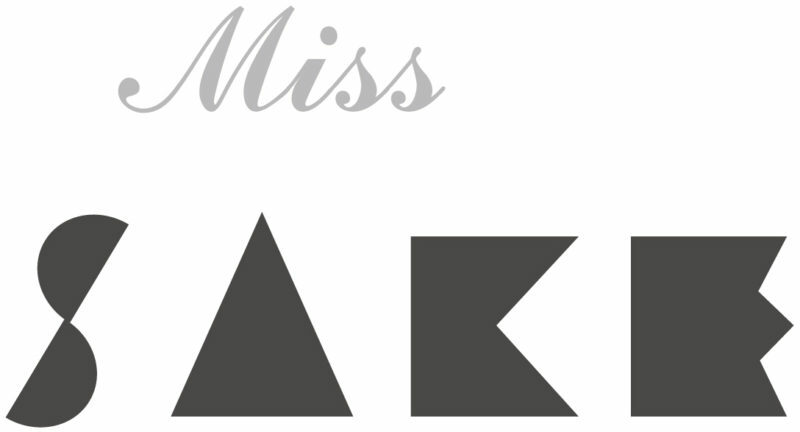 It was an honor for me to have lots of opportunities to introduce the activities of Miss SAKE to them. Thank you very much for the great time. 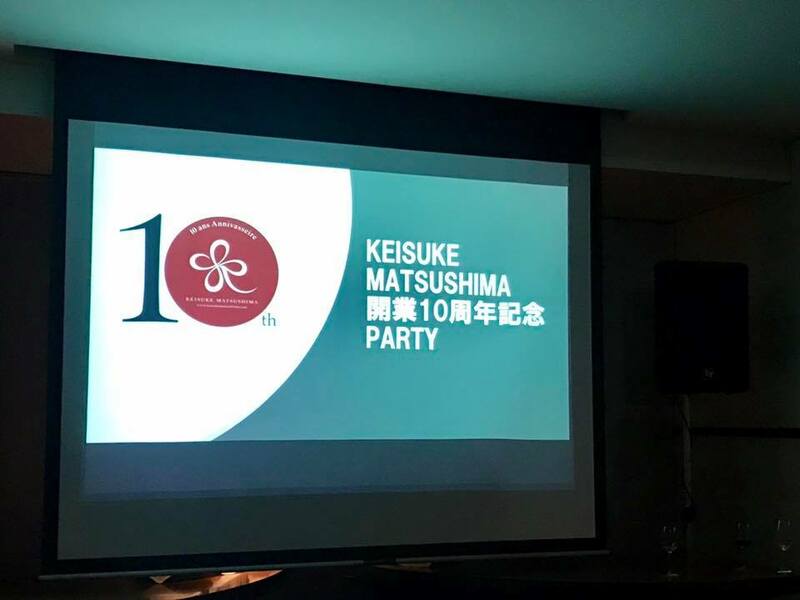 Once again, I extend my congratulations on the 10th anniversary of “KEISUKE MATSUSHIMA,” and wish the restaurant continued success.